This month’s TBR Challenge theme was “series catch-up” and while I’m stretching the spirit a little bit by both starting and finishing during the challenge month, the Playing the Fool series by Lisa Henry and J.A. Rock has been on my TBR pile since late last year. So I feel like it still qualifies even though the third book, Tempest , was just released earlier this month. Actually, “starting and finishing during the challenge month” is understating it. It was more like 18 hours from start to finish for all three books. So…these were pretty good. Ryan ‘Mac’ McGuinness is an FBI agent called in to work a murder case involving a suspected mobster. But when his witness, Henry Page, slips out before he can answer any questions about what he saw, both Mac’s pride and his case demand that he track Henry down and keep him around until the trial. But charismatic, slippery Henry is a con man and it takes him approximately .7 seconds to wrap anyone around his little finger, including Mac. Henry is a loveable goofball, the sidekick to Mac’s stern and responsible FBI agent. But it’s impossible to reduce these two to archetypes. Henry is frankly brilliant and Mac’s not as straight-laced as he might at first seem. This series, the first two books especially, have a playful detective buddy show tone with plenty of capers, hijinks and laugh-out-loud lines, but don’t let that fool you. Under the surface humor, these fun stories have an undercurrent that’s just a little bit dark at first, but that breaks loose during the third book. There’s one scene in particular that packed quite an emotional wallop. Tempest is where the chickens come home to roost, with Mac running back to his parents’ farm when he’s unjustly targeted by a crooked internal affairs agent. I wouldn’t call the romance a slow burn exactly since the story seems to take place over the course of a few weeks at most and they get physical pretty early on (with kissing and what we would have called heavy petting in high school). But their emotional intimacy is hampered by the fact that Mac is really not supposed to get involved with a witness and Henry has, uh, trust issues. In fact, Henry isn’t even his real name. Henry’s true motivations are revealed in the second book and it isn’t until the third that the two of them reach any kind of working accord. Oh, and I should mention that Shakespeare fans will find lots to love here. The titles are all references to Shakespeare plays of course, but that’s not where the references stop. And that’s all I’ll say because I don’t want to ruin these for anyone. Anyway, the whole series is seriously clever and delightful and I’d recommend them to anyone. Truly, if you’re not currently much of an m/m reader, these would be great starter books. Consider this my whole-hearted endorsement. I don’t want to give anything away, but the connection between these books and mac & cheese isn’t precisely obvious until you read them. In fact, throughout the first book, I really thought I’d be making doughnuts. Suffice to say, Henry is a hoot and you’ll just have to read the books to get in on the inside joke. 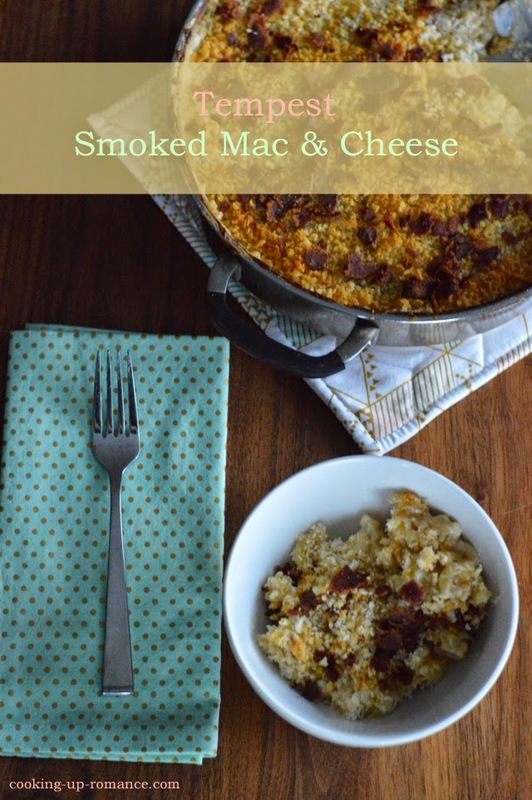 I’ve been making this smoked mac & cheese for a while now. It’s a huge favorite with my D&D group. But when it’s just my husband and I, the original version makes, well, just a lot of mac & cheese. And while neither of us are under doctor’s orders to lay off the fat, this recipe is hardly healthy. So I’ve taken to scaling it down a bit. Homemade mac & cheese is a little more difficult than the kind from a box, but trust me, this is so worth it. You make bechamel sauce first, which just flour cooked in butter with warmed milk and cream whisked in and cooked until it thickens. The you add the cheese and noodles and bake in the oven until the top gets nice and crispy. The original recipe called for the smoked gouda and sprinkling the top with bacon, but I’ve been adding smoked paprika lately too just for a little extra kick. There are very few savory dishes that could not be improved with addition of smoked paprika, am I right? 2. Prepare macaroni according to package directions. If there is a range of cooking times (say, 9-12 minutes), cook the shorter time. Drain and set aside. 3. 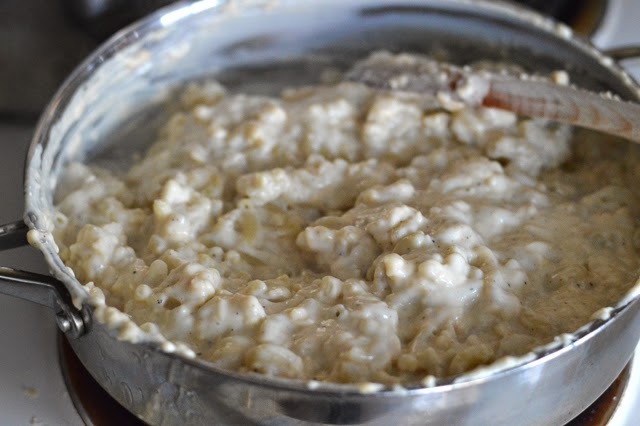 In a small saucepan, heat milk and cream until warm over low heat. In a large skillet, melt 3 tablespoons of unsalted butter over medium heat. Once the butter is melted, add flour, whisking constantly. Cook one additional minute. Turn down heat to medium low. 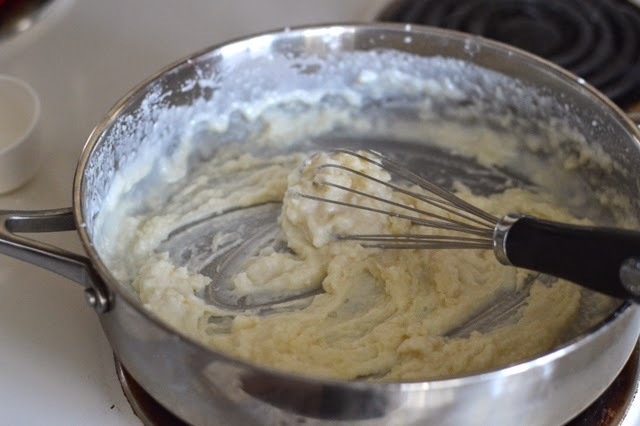 Continuing to whisk, slowly add the warm milk & cream mixture, whisking out lumps as they appear. Add the salt, pepper, dry mustard, smoked paprika and worcestershire sauce. Cook for an additional 5 minutes. 4. 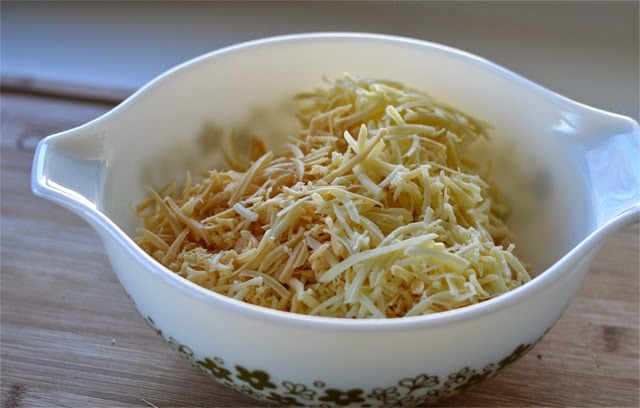 A third at a time, use a wooden spoon to gently stir in grated cheeses. Allow to melt for about 1-2 minutes in between each addition. When all the cheese has been added and sauce is mostly smooth, add macaroni and stir to combine. When combined, smooth the top with the spoon. 5. Combine remaining 2 1/2 tablespoons melted butter with panko breadcrumbs. 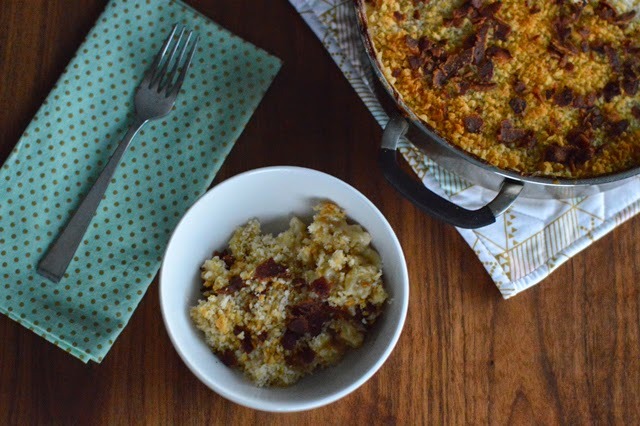 Sprinkle the breadcrumb mixture over the top of the macaroni & cheese and top with crumbled bacon. Bake for 25-30 minutes or until breadcrumbs are nicely browned. Disclosure: I received a complimentary copy of The Two Gentlemen of Altona from the publisher for review purposes. The other two books in the series were purchased by me. I'm not usually into this type of book, but I'll have to give it a try. 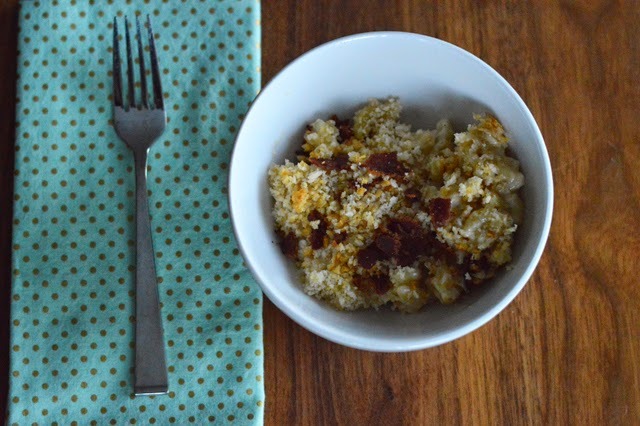 And I am definitely saving this recipe…can't go wrong with mac-n-cheese especially from scratch.